One of the best things about 2-Tone was the way that it showed respect to the first wave of ska and reggae artists who helped to popularize the music in the UK. In fact, many of the original artists moved from Jamaica to the UK in order to enjoy the benefits of their growing popularity. One of those artists was Laurel Aitken AKA The Godfather of Ska. Aitken moved to London in 1960 and recorded both in the UK and Jamaica throughout the 1960s. 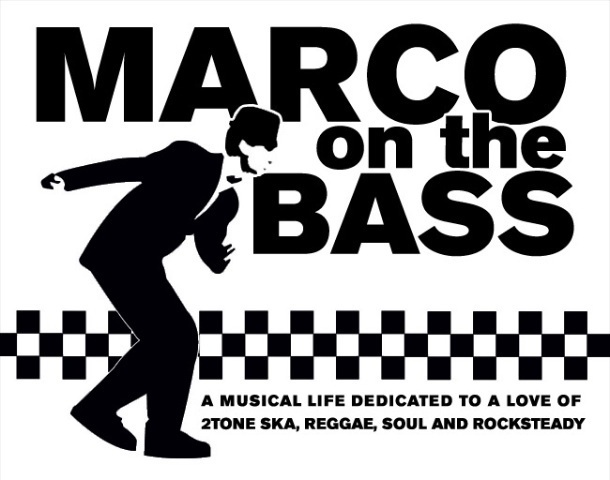 This cemented his position as one of ska's leading artists and gained a loyal following not only among the West Indian community, but also among mods, skinheads and other ska fans. He had hit records in the 1950s through to the 1970s on labels such as Blue Beat, Pama, Trojan, Rio, Dr. Bird, Nu-Beat, Ska-Beat, and Dice. By the mid-1970s Aitken had moved to Leicester with his wife and settled into semi-retirement, but was soon to return to prominence as an icon of the 2Tone ska revival. Aitken, then in his 50s, found himself hailed as the elder statesman of ska. During the 2-Tone era, Aitken's career was rejuvenated and like other first wave artists (Prince Buster, Desmond Dekker) he aligned himself with 2-Tone, mod and punk bands to help increase his audience. He performed with The Beat and also toured with the mod band Secret Affair. 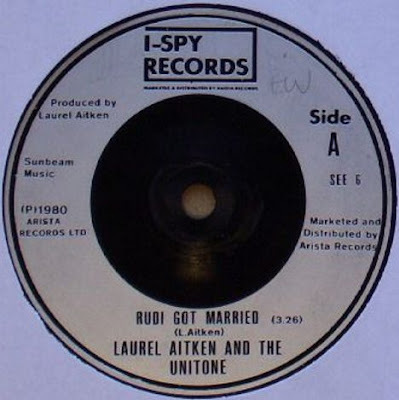 One of the most interesting pairings of old and new blood was when punk/reggae band The Ruts backed Aitken on a single "Rudi Got Married" b/w "Honey Come Back To Me" that was released as Laurel Aitken and The Unitone (a play on 2-Tone) on Secret Affair's own I-Spy Records imprint. The single was released in May 1980 on I-Spy Records and stayed in the UK charts for 3 weeks peaking at #60. Aitken and The Ruts also recorded a session for John Peel's radio show in April 1980 that included "Jesse James" and "Big Fat Man". Grover Records have released several volumes that chronicle Aitken's musical career. Volume five "Rudi Got Married" includes songs recorded in the '80s. A singer with incredible longevity, Aitken's style is low key - his voice never reaches any dizzying heights. The material here is some of his more popular work "Mad About You," "Sally Brown" and, includes his tracks with The Ruts "Rudi Got Married" and "Honey Come Back To Me".